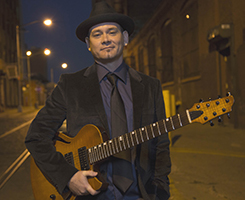 For guitarist/composer Adam Smale, the pursuit of musical expression began at the tender age of seven years old. Four decades later, that journey has reached a new peak with results spawned from the various twists and turns of all of those years of development. In addition to his Masters Degree, the educational realm has been an important part of Adam’s focus. 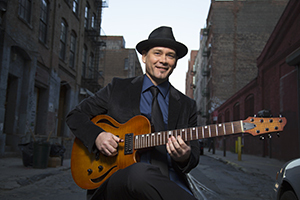 He has conducted master classes and seminars throughout the U.S. and Canada for Guitar Workshop Plus and the National Guitar Workshop while also teaching several students privately. Adam has also written and published the book New Approach to Scales for Guitarists: A Practical Modern Direction, that he feels will change the way guitarists organize, and how they think and implement music scales on guitar. 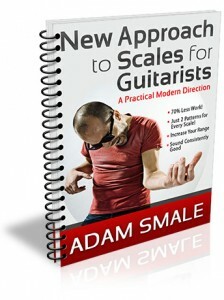 Adam’s book, A New Approach to Scales for Guitarists. Adam is a Ropeadope Recording Artist, and has recently released his 2nd CD, Out of the Blue. You can find him gigging in local venues in the New York area.